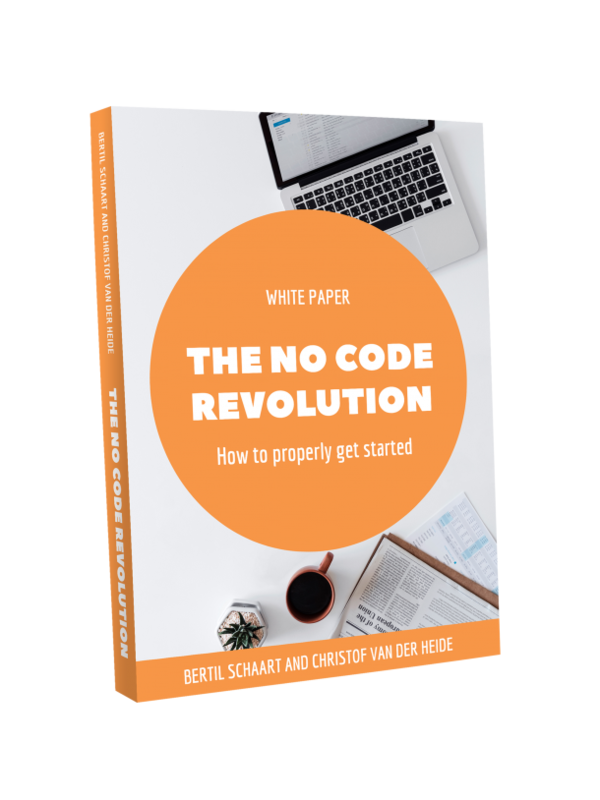 Digital Transformation benefits from No Code | Webbit21 - No Code. No Nonsense. Your organisation is going through a digital transformation programme. This has its ups and downs while trying to deliver according to expectations. Digital transformation programmes are essentially change programmes that need to cope with resource shortages, organisational resistance, process reengineering and technology changes. 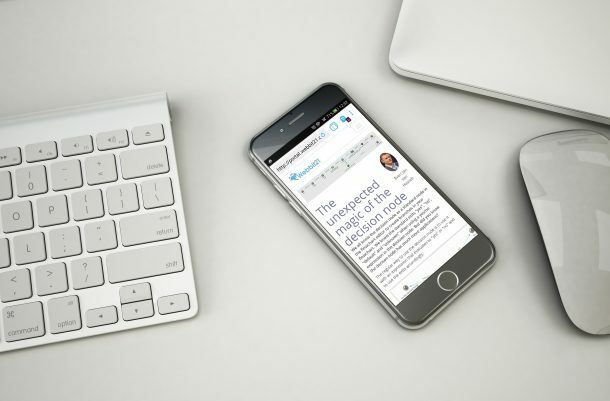 A major difference with a traditional change programme is that digital transformation programmes aim to introduce digital capabilities into all parts of your organisation. Digital capabilities mean more and more technology is used. Technology to replace non-digital capabilities, such as paper forms and document. Technology to do things that you could not do in the past, by using chatbots for customer interaction or artificial intelligence to recognise issues with your product earlier. Technology that enables you to speed up existing processes significantly. Technology that replaces obsolete technology you already have, for example smart meters. 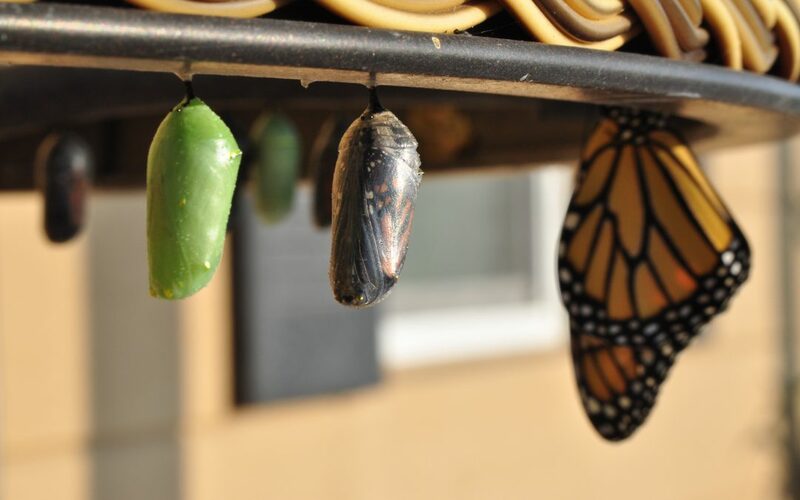 Another aspect that is part of a change programme is that you don’t know upfront exactly how you are going to implement the changes required. You need to be adaptable as you are venturing in new areas. Often there is little information about what to expect as this is new territory. As a result you will change processes many times until you get it right. This means that the applications and IT infrastructure will also have to change many times. In the area of infrastructure, cloud technology has made huge impact. It already provides a tremendous amount of flexibility to your organisation because you can easily scale up and down. Use agile methodologies to increase your adaptability of traditional software development. You only build what you need. You discover earlier if something is not working. The processes allow you to change your priorities quickly. It still requires you to build, test and maintain software. 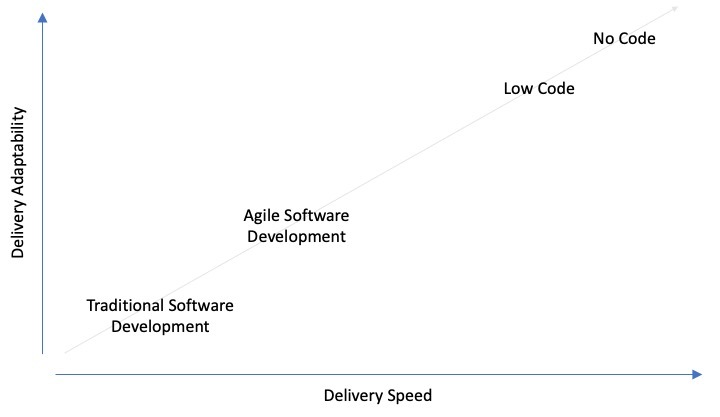 Use a Low Code platform to increase the speed with which software is developed. This is achieved by increasing the productivity of your developers. Many of the developer tasks are automated or the effort is reduced significantly. Use No Code platforms that completely eliminate all development tasks. You don’t need developers, software tester or application managers anymore. You focus on the functionality, the logic and user experience. the No Code platform takes care of the rest. Although Low and No Code platforms are relatively unknown for many, they are very powerful platforms that have developed rapidly. These platforms are often used for prototyping but are more that capable of delivering scalable production-grade web applications and mobile apps. The advantage is that they provide the adaptability that your digital transformation requires. When determining the digital capabilities for application development to support your digital transformation I recommend to look into Low and No code platforms next to using Agile methodologies.